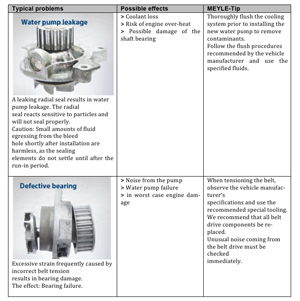 gear changing conditions, up to costly transmission defects! Despite successful oil changes comfort and switching problems still occur because during an oil change for technical reasons only max. 2/3 of the oil volume is changed. 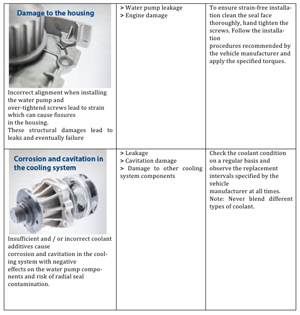 Therefore many deposits remain in the residual oil and in the transmission. –	Regular oil change, every 6-8 years at least every 80,000 – 12,0000 km; with frequent use of trailers even earlier! For transmission flushing MEYLE multi-purpose high-performance oil for automatic transmissions is also available separately. MEYLE in-house engineers increased the ball pin diameter to 22 mm, in addition to using wear-resistant synthetic ball sockets with high-tech grease. The reduction of the surface pressure ensures a significantly longer lifetime. Our engineers are passionate about improving our MEYLE-HD stabiliser links, constantly seeking new ways of refining all components. To make installation and removal procedures easier for our customers, MEYLE-HD stabiliser links are designed with a wrench attachment at the ball pin – a distinctive advantage when fitting and disassembling. 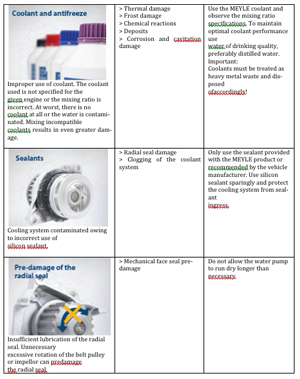 Owing to the larger ball head the ball surface on MEYLE-HD stabiliser links has been increased by up to 50%. This way we have managed to significantly improve the part‘s load carrying capacity along with its service life. The blue clip-on plastic socket adds additional strength to the MEYLE-HD part by using a high grade POM material. The high-tech grease used by MEYLE matches perfectly with the POM material.